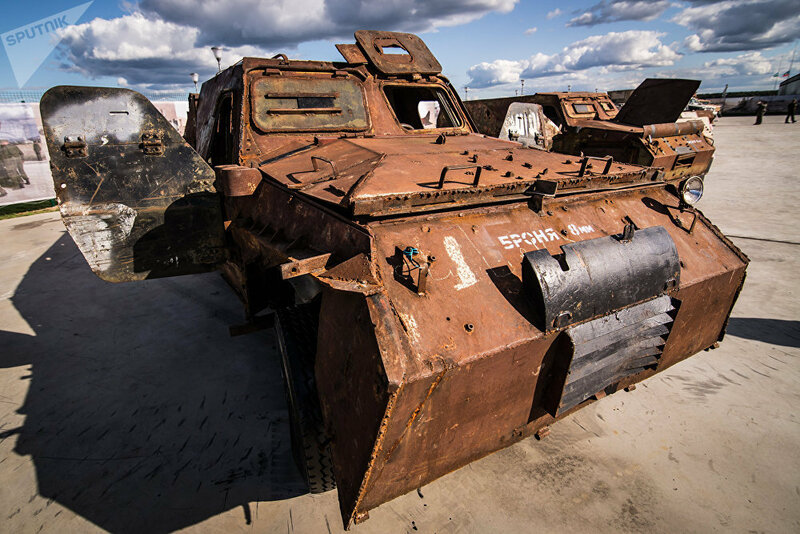 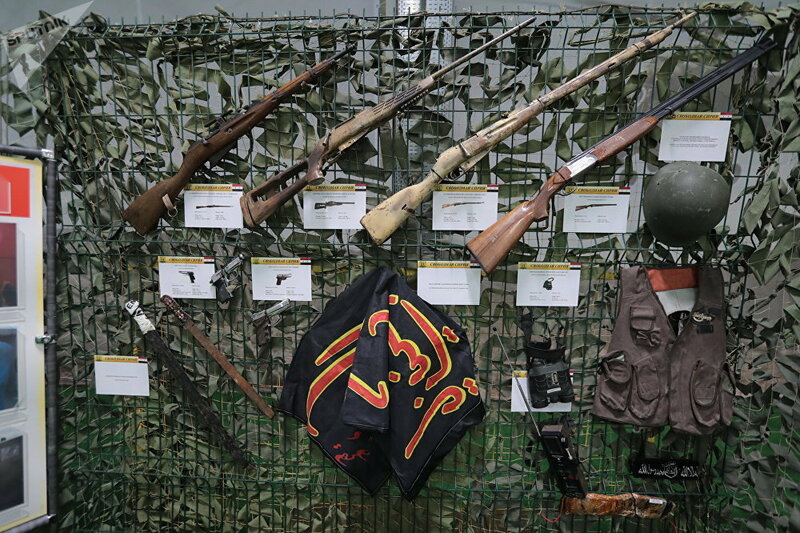 An armor-plated ISUZU "ELF" car on display along with other weapons and combat vehicles captured from the militants in Syria, at the 4th International Military Technical Forum Army 2018 in Kubinka. 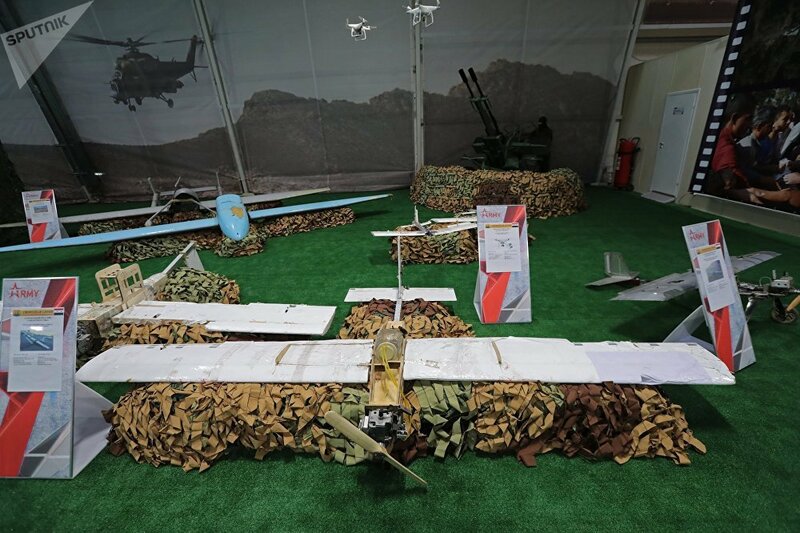 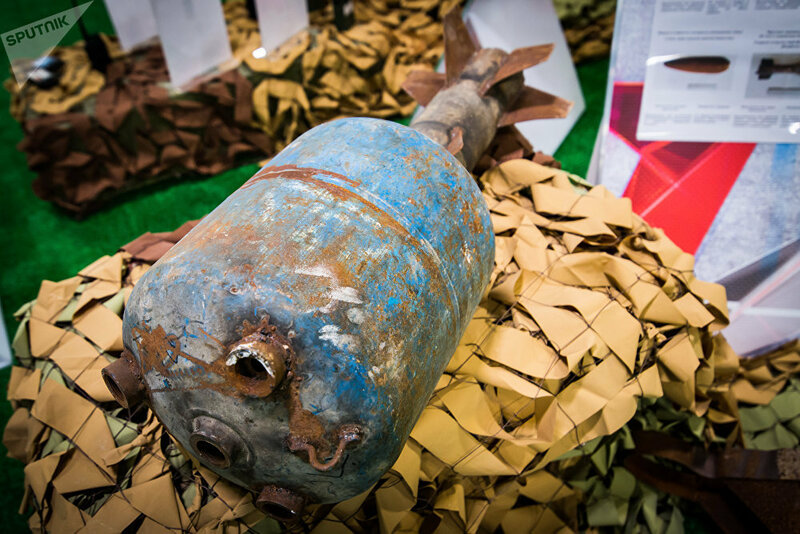 The exhibition displaying weapons and military hardware captured from the militant groups in Syria was one of the most popular attractions at the 4th International Military Technical Forum Army 2018, according to the event's press service. 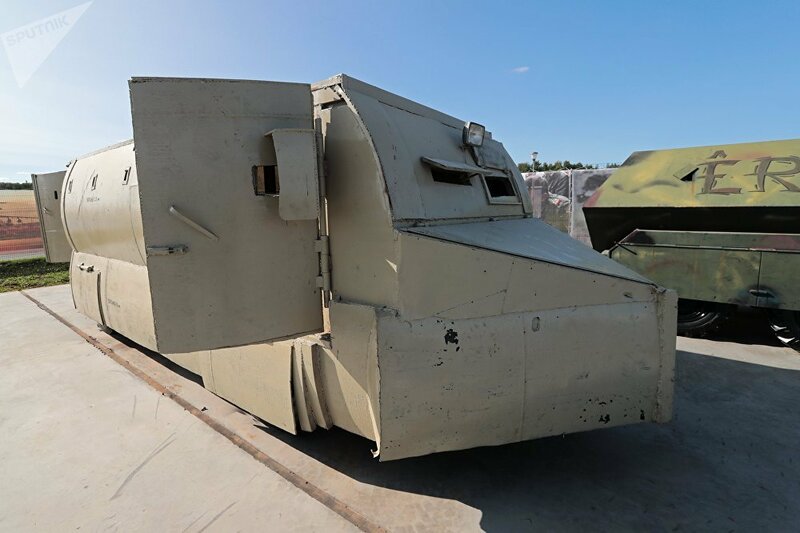 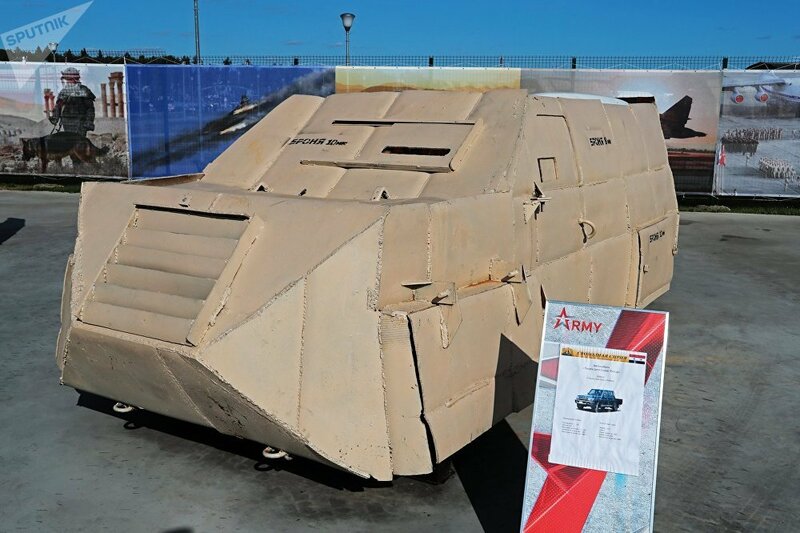 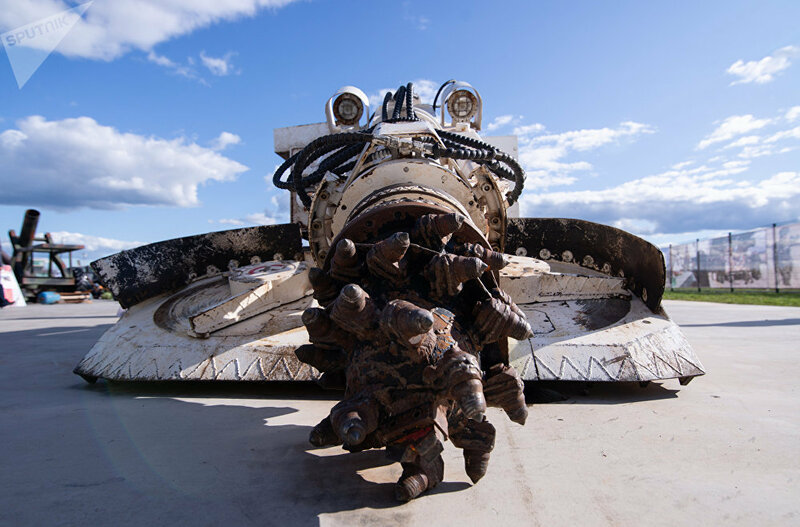 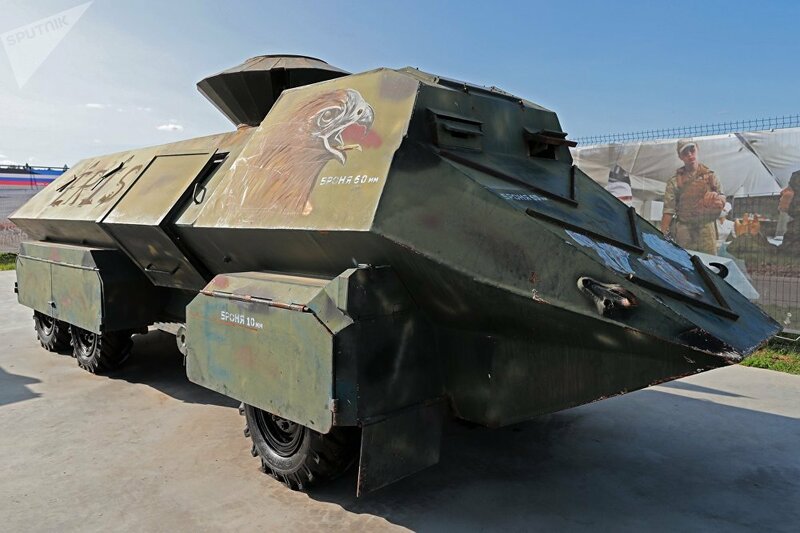 The exhibits presented to the Army 2018 forum visitors ranged from civilian cars turned into improvised armored vehicles or mobile heavy weapon platforms, to makeshift munitions, small arms, and even an actual WWII-era battle tank.